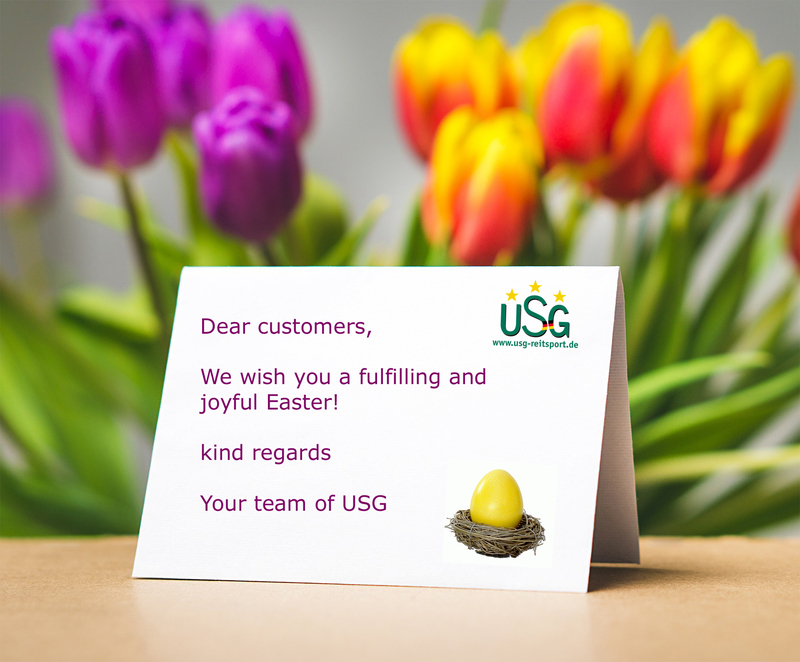 USG - your competent partner in equestrian sports! Equestrian Sport is our passion. Already in our 21st year, we, the company USG United Sportproducts Germany GmbH, managed by our founder and owner Stefan Schwanbeck, offer a complete line of products for equestrian and leisure riders to retailers world wide. Whether for tournament riders, leisure riders or outdoors enthusiasts in the field of hunting, fishing, dog sports and gardening, we have the right functional brand for everyone in the program. In our program you will find riding breeches for children and adults, stockings, helmets, chaps, shoes and boots, belts and scarves. Discover our large number of horse and stable accessories such as saddles, bridles, soft poles, blankets, food and lunging products. Also for dog owners, we offer dog accessories in the form of leashes, toys and baskets. The items can be found in well-stocked retailer stores or in our online shops for retailers and final consumers.